Chrome Billet Front Left Brake Caliper 2000-2017. 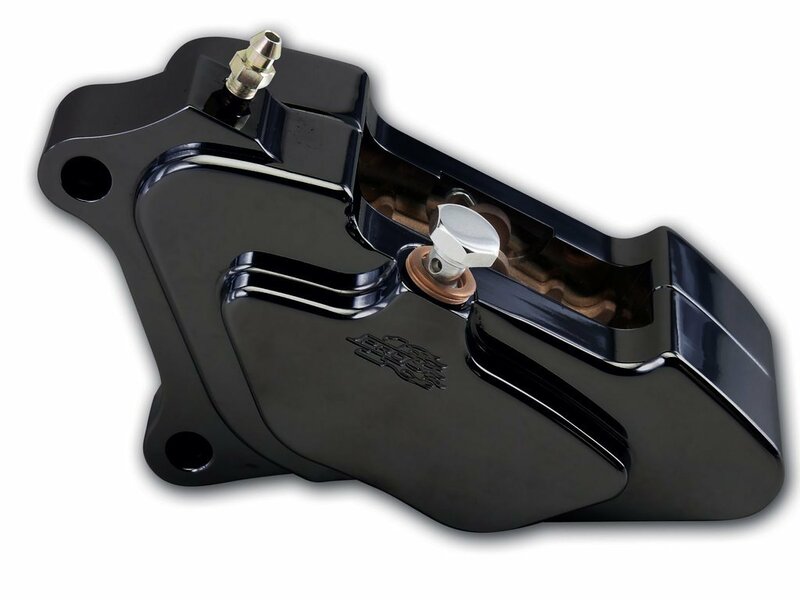 4-Piston Billet Caliper for Harley-Davidson, fits front Left on 2000-2017 models. CNC Machined from solid Billet Aluminum and super-durable black anodized finish. Bolts directly to front fork leg mounts. 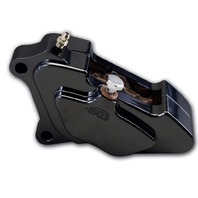 A great way to upgrade from the stock calipers for greater stopping power and a custom look. Includes Chrome mounting hardware.